Angie was there for the birth of my first child 10 days ago today, firstly at only the request of my wife though i am now and was than immensely greatful for her presence. Not only was Angie there to capture the special moments in our entire labour/birthing experience, she was also a great support person for myself and my wife. She helped my wife through the different stages of labour as well as explaining to me what was going on and what i can do as it seemed i was a little lost in all of this and just wanted to help my wife through her pain. Angie went and got water and ice for my wife while she was in labour so i didn’t have to leave her side. All in all i am happy and thankful that we chose Angie to do our birth photography as i said earlier she wasn’t just our photographer but experienced support for the both of us. Thankyou Angie and I’m sure we will be hiring you again in the years to come. When I found out I was 4 weeks pregnant I knew I was booking in with Ange straight away as I had seen her work before and fell in love… I booked a Maternity timeline, birth, and newborn package with Ange. Then to find out there was issues with Nate’s heart I was so glad I did because I have all those beautiful photos to cherish forever! Firstly WOW!!! I’m absolutely in love with my Newborn & Maternity photos & canvas’s. The quality is outstanding. I believe photos are your memories & I am so glad I choose Angie (Desire to Inspire Photography) to capture these memories. Her work is outstanding & of a high quality. She is so amazing with babies which allows her to capture the most perfect photos. Angie is an amazing photographer, so relaxed and calm. I’m in love with my photos and so glad that I choose Angie to capture those precious moments. She did a fantastic job and I can’t wait for the next milestone session with her. Absolutely love Angie’s work! She’s such an amazing photographer and great with babies and young children. My partner and i were so pleased with the quality and presentation of our photos, we will definitely be coming back to her in the near future. The decision to have a photographer at the birth of my firstborn son was the best decision of my life. Angie fit right in and I barely noticed her unless I needed her which meant all of our images are purely candid and a true document of our son’s arrival – EXACTLY what I wanted. The photo albums, canvases and prints are of extremely high quality and are instant heirlooms. For the quality you receive on both product and customer service, the pricing is exceptional (I have paid far more for far less albeit the same quality). 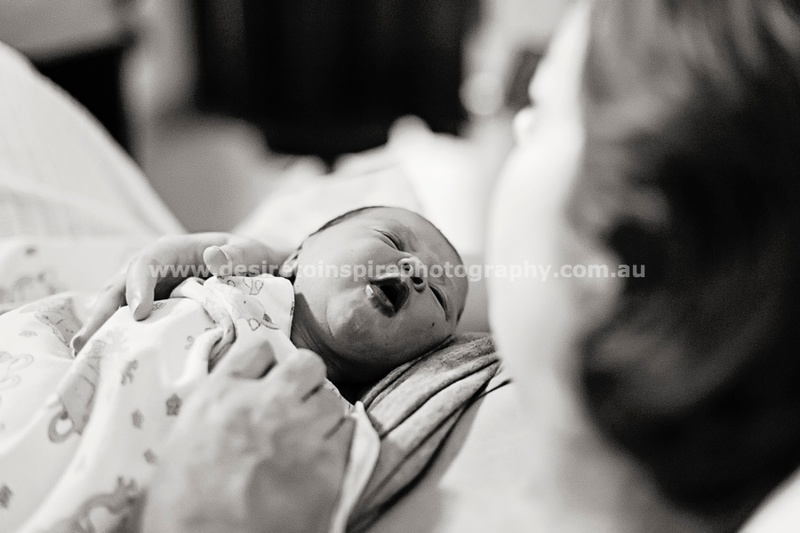 For being someone who considers herself fairly modest and with birth photography seeming quite intimate, I took a big leap and it truly paid off – I am a strong advocate for birth photography now. 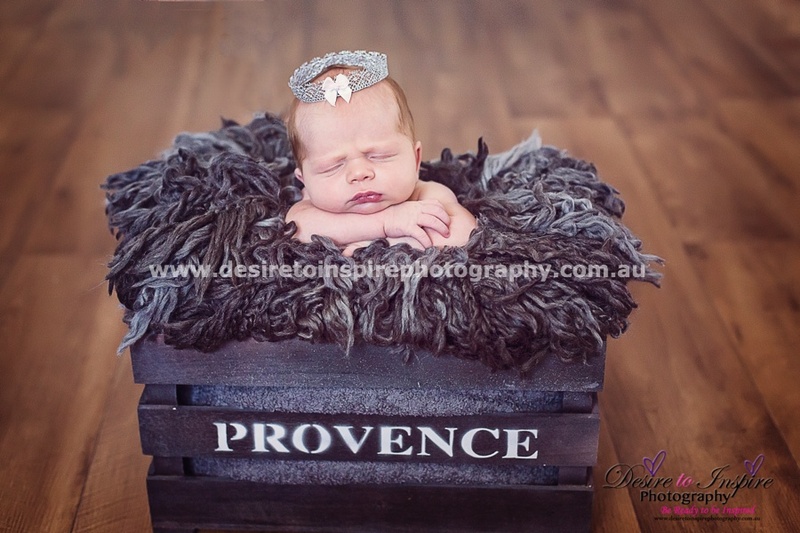 We also took part in the newborn photography and I am glad we did. The studio was toasty warm for a naked bubba in winter and every care was taken to make sure he was happy and safe. Angie had asked us what colours we liked to make sure that our photographic artwork would suit our home and she delivered perfectly. The results are timeless pieces that are not overly photoshopped. Overall, we are very happy customers and highly recommend Angie. HIGHLY RECOMMENDED. We recently booked Angie for the birth of our first baby. Likely to be our first and last baby, I wanted to capture the magical moments for years to come. 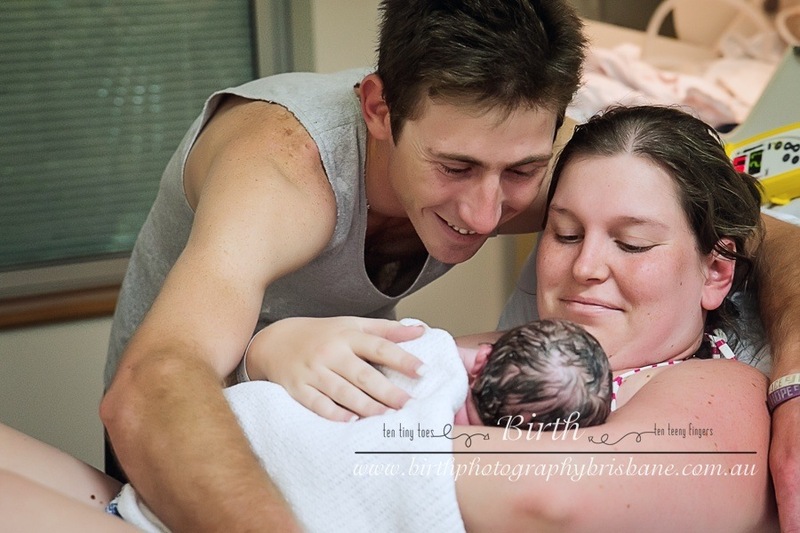 I did extensive research into the local birth photography market and chose Angie to capture our birth as she presented both value for money and has a beautiful portfolio which demonstrates her amazing work. 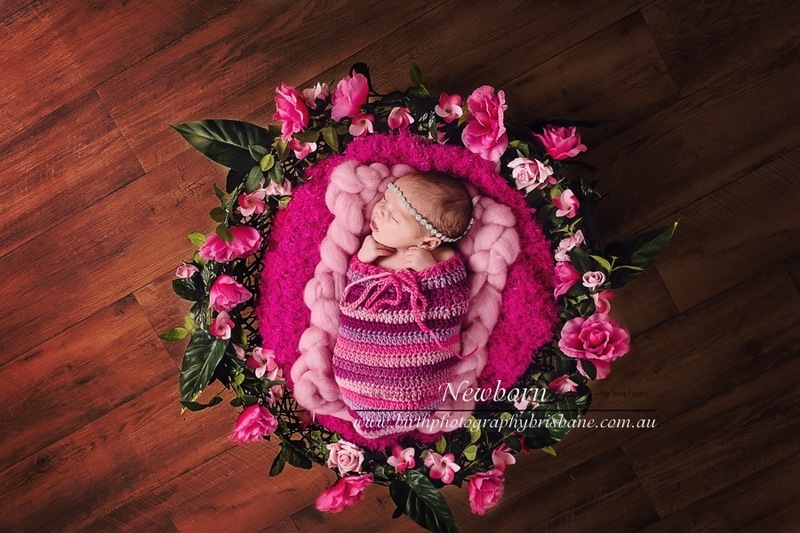 As we were using Angie for our birth we decided to do newborn photography as well. Throughout our decision making process Angie was supportive and answered our ten thousand questions and went out of her way to meet me and go over the process and show me more of her work. Angie was available during the lead up to our birth and would check in regularly to see how everything was progressing. I felt extremely comfortable with her. The big day went very smoothly, Angie was early, professionally presented and very calming for us. She was the right mix of in the moment and out of the moment to ensure that we could rely on her to capture every moment without her ever getting in the way! 8 days after our baby was born, we spent a morning with Angie doing newborn photos. The session was well prepared and thorough. Most importantly all of the images captured at both sessions were amazing!! She was quick to edit and post sneak peeks and did a great job of keeping us updated about our editing. Our viewing session was incredible and we ordered some products that proved to be incredible quality. They are truly special. Thanks a million Angie. I have never worked with such an amazingly talented and professional photographer. Angie’s work speaks for itself, and the time, care and effort she puts in for every single client is beyond astounding. Angie always goes above and beyond and prides herself in her work. 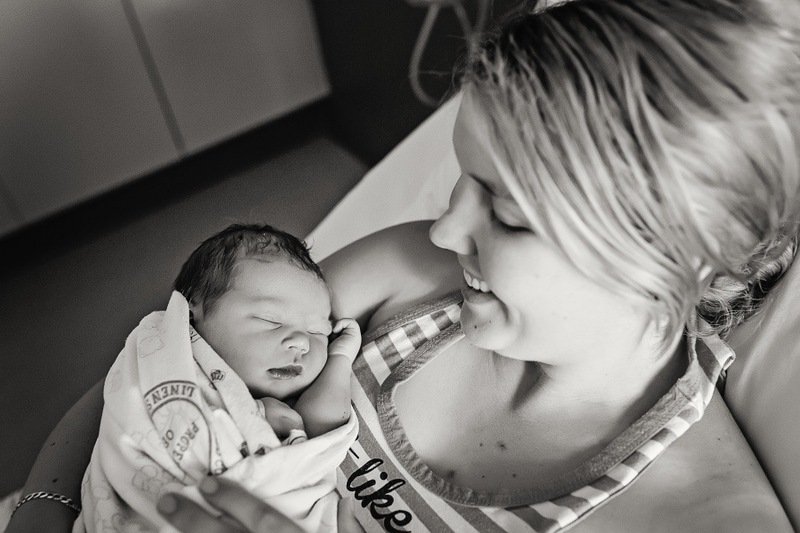 I’m so thankful I had her to capture all the memories from maternity, birth, newborn, family and more. 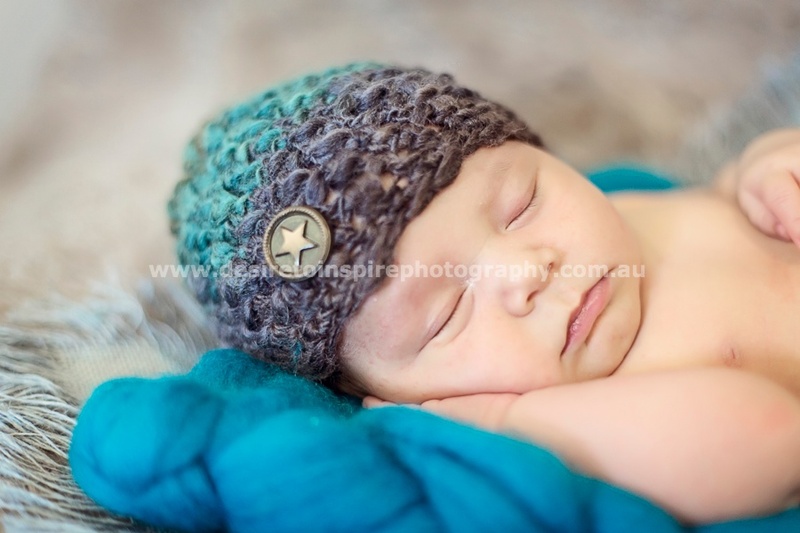 Absolutely love our newborn photos of Ryder A job well done by a very talented photographer. I would whole heartily recommend Angie to everyone. 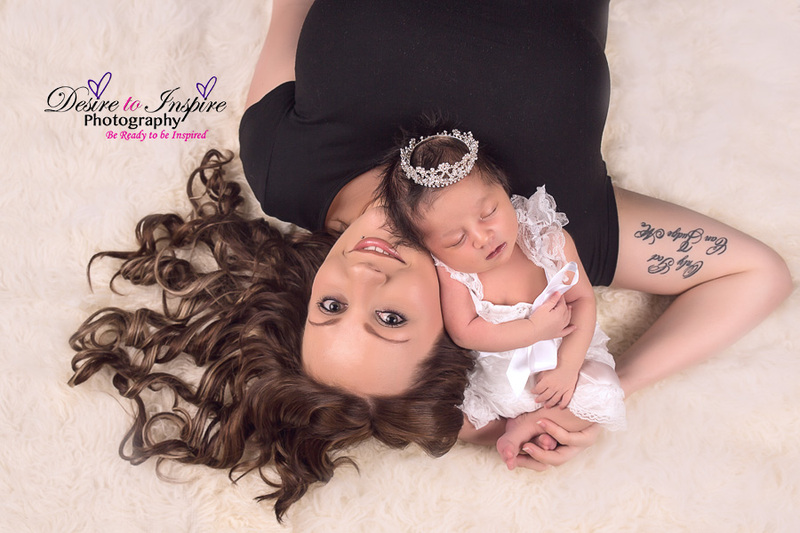 I came to Angie after my newborn photographer cancelled on my when my daughter was 6 days old. 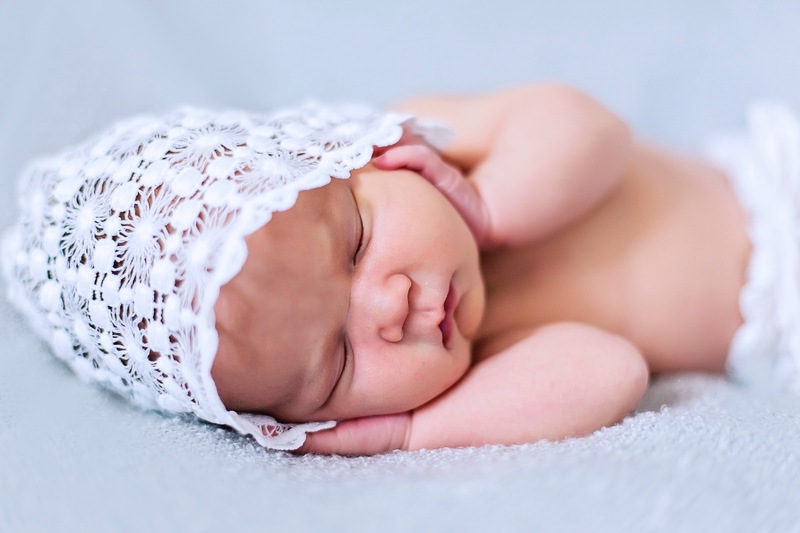 And if you’ve been looking into newborn photography you know just how important it is to get them early. I actually rang Angie while she was on a family holiday to see if she was available at all, fortune was on my side that day as she was returning the next day and would be in touch with me. Angie kept her promise and was an absolute professional on the phone, I was somewhat emotional at the time over the situation and she was just great in answering all of my questions. She emailed through a comprehensive questionnaire to fill out the day before my shoot which I found really helpful as I was unsure what I wanted, only that I did want beautiful memories of my daughter. The day of the shoot ran so smoothly and I really enjoyed how there was no pressure of a time limit. Being a new mother trying to breastfeed is hard and with an added pressure of a timed photo shoot is something you don’t need. I really found Angie comfortable to be around and that was something very important to me, especially in those early days as a mother. Angie really ‘got’ what I wanted out of my shoot, she had spent the night before setting up the studio with different areas so we walked in and it was just there, ready to go. She spent time talking to my partner and me before hand and listened to us. I felt we weren’t just another client to her, she made us feel like we were her most favourite client. After the shoot Angie kept us informed on when our viewing would be, there was a wait which she told me about before our shoot. I didn’t mind this as it wasn’t a surprise sprung on us. She did promise that some sneaky pictures would be available that night to swoon over. They were and there was much swooning after we saw them and more when I showed the rest of our families. The day of the viewing was amazing, I brought my mother and my mother in law as well as my partner and our baby. There were many tears and smiles while we watched the video and saw all of Angie’s hard work had paid off. Before we saw the viewing my partner and I had discussed a budget figure and had some ideas about what we wanted to buy. This is very important as Angie’s work is incredible and I could have spent an enormous figure. We ended up purchasing, on top of our package, 8 canvases; 5 of just our daughter and a group of 3 of our family. The canvases are certainly an investment, the quality is museum grade with a 75year warranty! It helped that Angie did a little mock up of different photo groupings so you can create different styles. She also has some canvas sizes so you can physically see them. Sometimes they look big but on a wall it may not give you the right look. Angie has great vision and certainly helped us in choosing the style we were after. Overall Angie is wonderful, she is respectful and understanding of how emotional it can be being a new mother. She has great advice and stories to tell during your shoot. She keeps you informed after your shoot and also has packages available for the first year milestones, which we have booked. I would recommend her to everyone looking at investing in a newborn shoot, you can’t keep your little one little forever but with Angie’s work you’ll always have great memories of this magical time close to your heart. I am so happy with the job that angie did for both my maternity and newborn photos. The ideas, props and colours that were used suit me to a tee and i loved that. Absolutely love the job Angie has done – even so much I have booked my next next session. Looking for an awesome photographer – Angie is your lady. 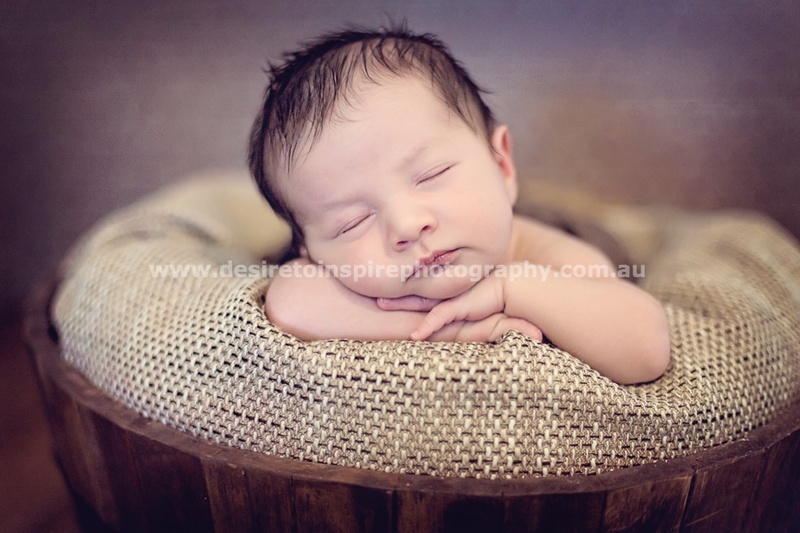 When it was time to look for a birth photographer we asked a group of Mum’s from a local Facebook page for their recommendations, Angie Petersen from Desire to Inspire Photography was one of the suggestions sent to me. After viewing some of Angie’s work plus the list of packages available with the option of a payment plan that would work for us we decided she was perfect and promptly booked the full experience; which Included Maternity, Birth and Newborn sessions. From the very first meeting we felt relaxed and comfortable with Angie who explained everything clearly and in great detail. Each session was a lot of fun and the best part was watching her creative nature in action. The massive amount of props available meant anything I could imagine was possible. In the birth suite I thought Angie would simply be taking photos but she was so much more, she provided support to both of us, she worked WITH the male midwife in capturing images to ensure she didn’t interfere in what he needed to do. He was also impressed with her images and professional approach in his environment. The end result of our sessions was a unique collection of stunning images that we can treasure for the rest of our lives and as an added bonus, we have developed a close friendship with Angie. Thank you so much Angie for the lifetime memories you have given us and for making this experience so enjoyable. We can forever look back at this time with you and feel we made the right choice. 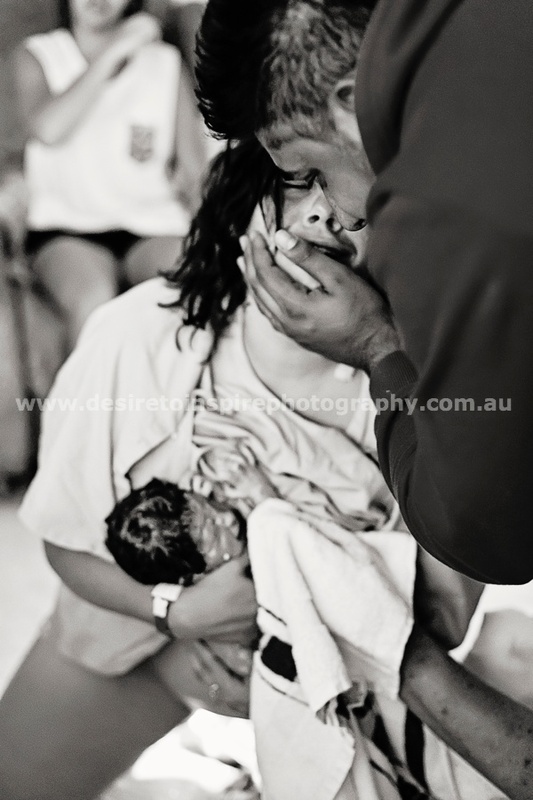 I am so glad I had Angie (desire to inspire photographer) at my birth…. 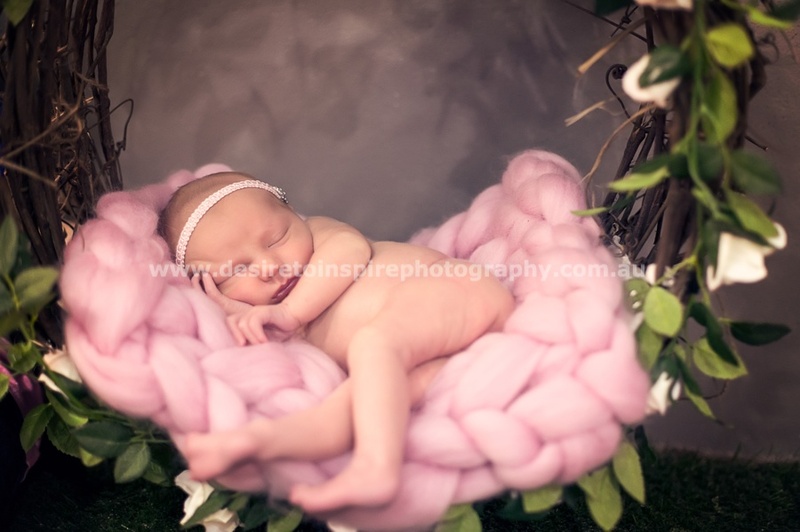 I hadn’t had birthing photography done with my other 3 children and thought since this was my last, I had to go all out! I wanted the best in the business and someone I felt comfortable sharing such a personal moment with. The minute I met Angie I knew she was exactly what I was looking for. There was no fussing about. Everything I needed to know was layed out on the table, any questions I could have possibly had were already answered. The service I recieved was nothing but perfect! I felt like I had just taken a friend into labor with me. I had a very long labor and she stayed there the whole time and took amazing photos of me and my new baby along with gorgeous photos of my hubby and sister. I don’t think I could possibly right a review stating how amazing angie has been with the whole process before during and after my session. The work was amazing and how much she has bent over backwards and leaped through hoops to help pay it off has been a massive help! I would beyond recommend anyone thinking about getting photos to go through angie!! I keep deleting and retyping what I’m gonna say because to be honest I don’t know how to put into words my experience with Angie. 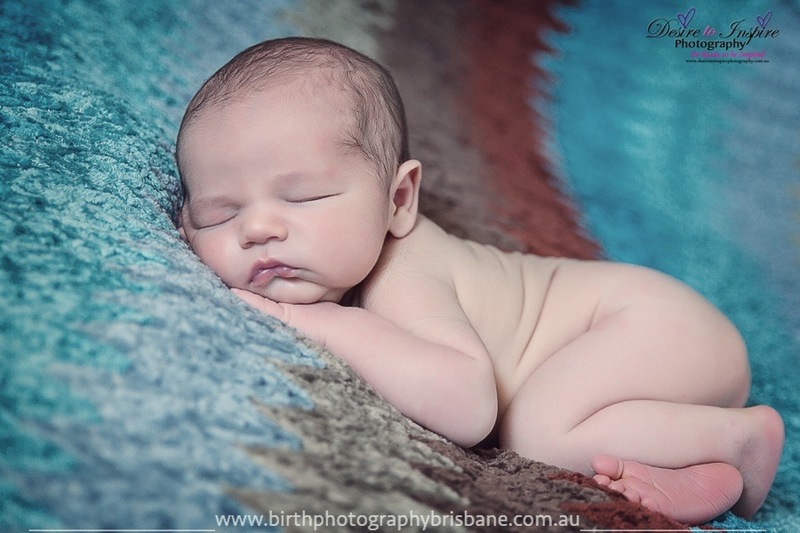 My partner is someone who is usually very uncomfortable with getting professional photos done but Angie made him so comfortable and even managed to get him to take his shirt off in the newborn shoot. She was so helpful when Paityn (5 days old) was unsettled for her photos and very patient when Xaviah (2.5years) wasn’t cooperating with getting certain shots. I honestly can not recommend Angie enough. Angie was amazing, her professionalism and attention to detail was outstanding. I would highly recommend her. Thank you again for our beautiful everlasting memories!! Deciding to invest in the full maternity, birth and newborn package was the best decision my partner and I made. They are memories we would never be able to capture again, but thanks to the amazing work by Angie we now have images that we can treasure for a life time. 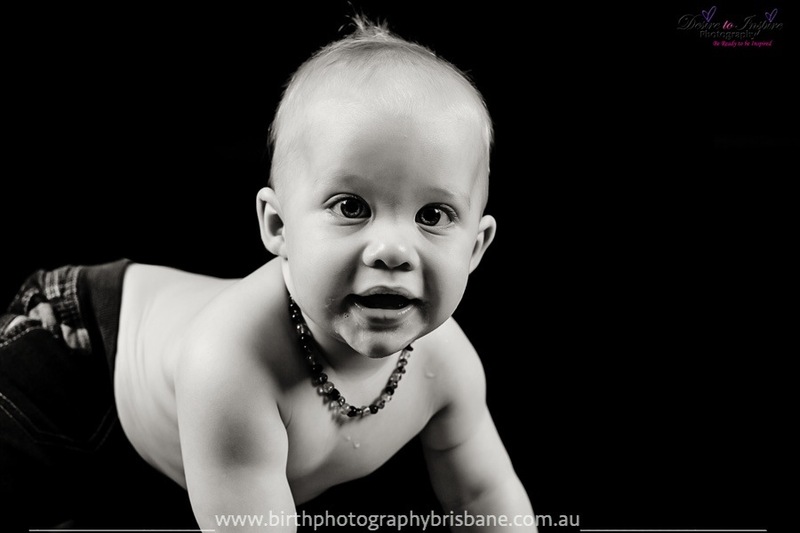 For myself having birth images was the biggest incentive when it came to choosing Angie as a photographer. During the birth of my baby girl Angie was not only a professional but also a great support for my family. Angie was hidden away whilst taking the photos and it wasn’t until I viewed my photos that I realised how many amazing images Angie actually captured. All of the beautiful images told a story. The quality of the images Angie produced and the prints, albums, and canvas she put such hard work into is nothing but amazing. I would do it all again and can’t wait to have another session 🙂 We are ever so greatful and beyond happy.. Thank You Angie. 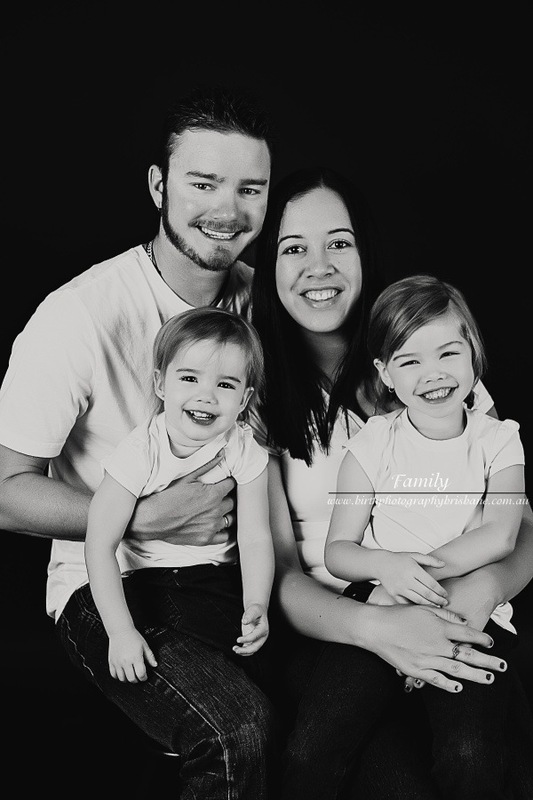 I have loved every minute of my experience with getting my precious family photo’s with Angie. It won’t be my last time getting pictures with her. I highly recommend Angie’s work. Thanks again for capturing my family pictures for me. Viewed our photos today and all I can say is wow!! Angie has done the most amazing job. I couldn’t be any happier. I would highly recommend Angie to everyone, she was very friendly and welcoming. Its great to see a photographer so passionate about her work. Thanks again Angie for an amazing photoshoot. Upon falling pregnant with our second child, my partner and I had not discussed having a birth photographer until we saw Angies work. I was relieved as to how friendly and passionate Angie was towards her work which made me feel more at ease, especially while having her at our birth. I honestly didn’t even notice Angie was in the room throught the birth and afterwards. The photos she took were amazing, she was able to captures every moment I had forgotten, including my partner and I walking to the hospital. Her photos truly tell our magical story. When we found out we were expecting our second child I approached Angie about capturing our journey. The birth of my first child was very traumatic and as a result we have minimal photos of those precious first hours & days, and only fleeting memories, due to the focus being turned to myself & my recovery. I was determined not to miss out this time, but I have to admit my husband wasn’t completely chuffed with the whole idea. Having engaged Angie’s services on several occasions, she was a natural choice and we have found her to be both professional and helpful. We weren’t to be disappointed this time either- her skills in capturing emotion and the essence of birth made unforgettable memories for our family. 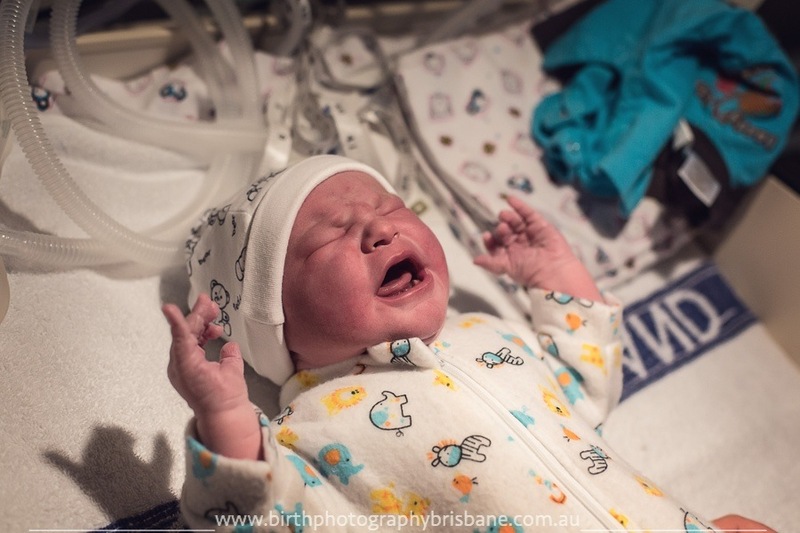 She beautifully captured the most intimate photos that truly show the beauty of birth. And best of all my husband was over the moon (as was I!). Since having my children, I had always wanted to get a professional photo shoot done however the price was always something that turned me off. 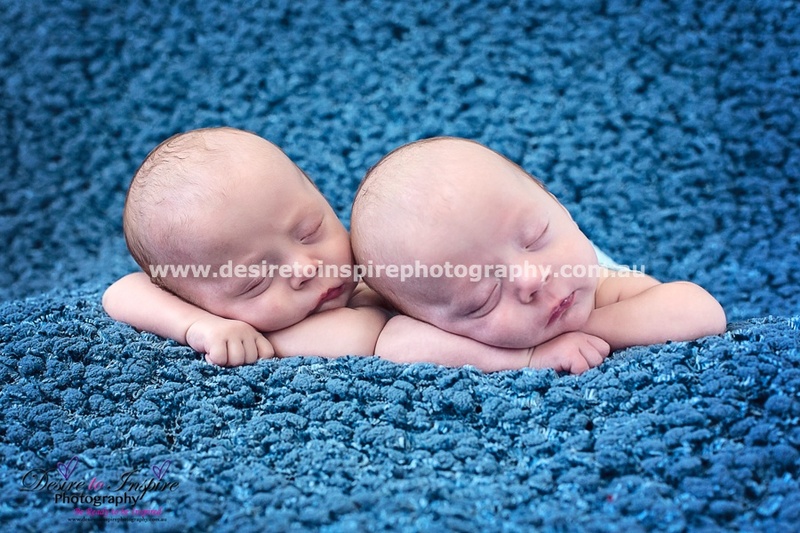 When my twins were born this year and knowing they would be my last, I looked into local photographers and was recommended to try Angie Petersen, from Desire to Inspire Photography. I was a bit worried about how the shoot would go, whether there would be sufficient time to take all the photos that we wanted, if it would be rushed and if the boys would handle the shoot itself. Angie was so patient; she took the time to help me settle the boys and even helped me feed them during the shoot. Angie allowed sufficient time for the photo shoot itself and time to settle the boys into the shoot. Her attention to detail was evident in the way she took her photos and the way in which she prepared each different photo scene. Having never had professional photos taken before, I was left feeling relaxed and I knew that the photos would come out beautifully. Angie gave me a sneak peak of the photos later that afternoon and I knew that it was all worth it. “The birth of one’s own child is among the most significant events that a person can hope to experience in their life. It involves those very special moments that mark the entry of a new life into the world. Angie has a rare talent to see those moments and capture them on camera. Her images are more than a chronicle of what happened; they arrest your attention because, somehow, they are filled with the deep emotion of those special moments. 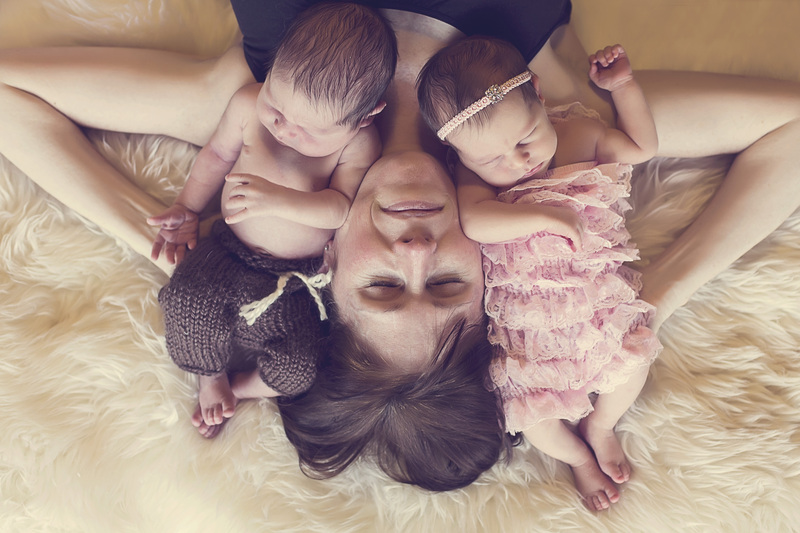 During the birth of our twins, Megan and George, Angie managed to capture those wonderful, rare moments. Her creative talents extended to compiling images in multimedia formats – the compilation video of our birth story touches us every time we see it. As we were unable to travel to her studio, Angie visited our home to take newborn photos when the twins were twelve days old and she also took photos of our four year old daughter, Alice and family portraits. We have never seen anyone put so much energy and patience into photography – it gave us a whole new insight into what photography is to a dedicated professional! The resulting photos were absolutely stunning, really incredible. Angie was a delight to work with too: she possesses a quiet, friendly and warm disposition that makes her very easy to get along with. She evidently has a real affinity for little babies and children as well – she certainly has patience by the bucket-load too! She was reliable on every occasion and she accommodated our needs without a murmur of complaint – when we were unable to travel to her studio she just brought the studio to us, and she has some lovely outfits and props! We could not fault her work, far from it: she has that rare combination of technical skill and artistic talent that sets her work apart. Her passion is evident in the care she puts into everything she does, and the resulting products were all of an exceptional standard. We were delighted both with her work, and with her; so we can highly recommend Angie to you. 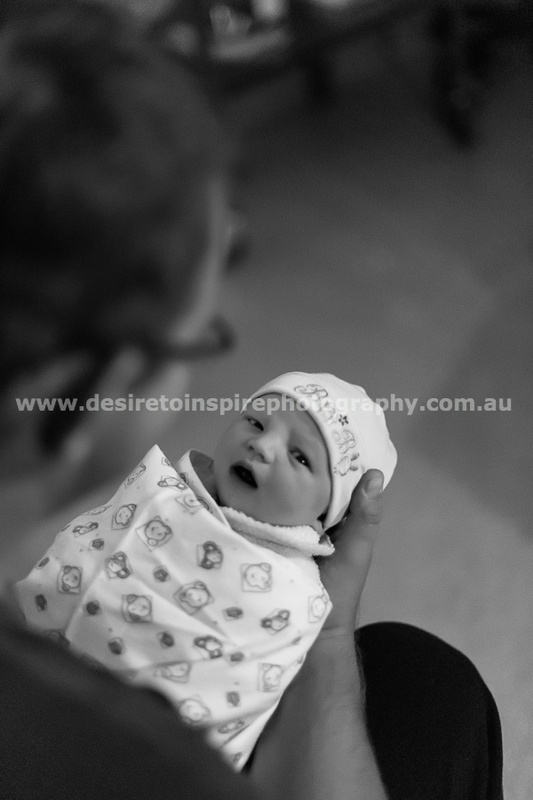 If you are thinking about photography for your birth, or newborns, you could not wish for better. We intend to use Angie again for family portraits, in future, quite simply because her work is indeed inspirational and, when it really counts you need someone you can count on. Every time we look at our photos we count ourselves fortunate indeed to have had Angie there. Highly highly recommend anyone thinking of having photos done to use Angie she’s an amazing photographer with an amazing talent !! Couldn’t be happier with the photos of my newborn and family and she’s worth absolutely every cent !! Angie is AMAZING with babies. Truly a baby whisperer. And the end product will blow your mind!! a true talent behind a lens is hard to find!!!! Cant recommend her enough , you will not be disappointed.